What Can I Do To Match More Quickly With A Potential Birth Parent? 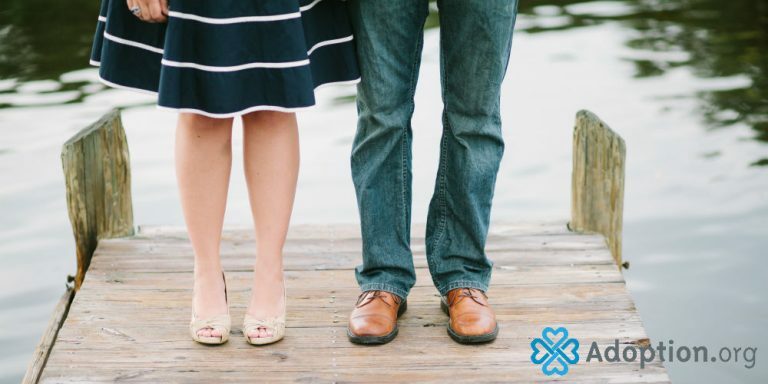 It’s probably one of the most asked questions by prospective adoptive couples: “How can we shorten our wait?” The good news is there are a few proactive things you can do to match more quickly with a birth parent. The bad news is, despite that, most of it is luck (or God’s timing, if you believe in that). That said, I would like to point out how funny time can be. For some couples, they’ll be working full-time, busy with friends on the weekends, and a year might seemingly fly by. They’ll have all the baby gear ready, just in case. For other couples, like my husband and I, our wait for a match seemed very stressful and anxiety ridden. We had the bare minimum in baby gear and baby boy arrived surprisingly quickly (around six months). It can be a blessing to have a longer wait to prepare; however, that’s only if you keep your head clear and stress down. Thank God our wait was shorter because I don’t know if I could have handled much more anxiety. Work Hard on That Profile Book. Don’t get frustrated and do a vague, generic book and hope for the best. Forget any college paper or high school project that has come before- THIS is your most important project! You will likely pay Shutterfly or some other printing company around $50 for one book, but don’t be afraid to say, “Hey, let’s dig deeper, make some edits, and order and replace our book. Let’s send the agency a new one that we like better.” Edits are good. Details are good. Most importantly, being your AUTHENTIC SELVES is essential. Include jokes in your book. Include little random quotes or stories that show your personalities, even if they’re not exactly baby related. It shows birth parents who you are. Remember, with open adoption, you’ll want them to know the real you because you will be talking and hanging out together! That said, present your BEST self. Obviously, sometimes we might step on a Lego and yell a curse word or yell at traffic… those tidbits can be left out, even if they’re authentic. Spread the Word That You’re Hoping to Adopt. Tell family, friends—even mention it on social media. You never know who might have a friend of a friend who’s experiencing an unplanned pregnancy. Your name being out there can’t hurt your chances of getting a quick match. Tell church staff. Tell your OB-GYN. In addition to your name being out there, you will receive support and prayers from others that can help. Understand Adoption Agencies’ Payment Plans. If you can afford to “double dip,” and be in two agency’s pools, that can shorten your wait. This can be easier said than done. It will depend when fees are due. Some are spread out, some are all up front. Also, different agencies will have different policies on if you are even allowed to be in two pools at once. You can try signing up with an adoption profile website in addition to being in one agency’s pool. There are many sites that are relatively cheap to host your profile. Birth parents can browse these sites and you may be contacted that way. Consider Opening Up Your Preferences. Any social worker will tell you that when you have narrow preferences (only check the boxes for one race and children with no special needs) you will have a longer wait. The paperwork usually gets pretty specific on what you’re willing to accept. You’ll be asked about pre-natal exposure to drugs, alcohol, caffeine, etc. You’ll be asked about specific medical needs. Finally, you’ll be asked about race. Have deep discussions about what you and your family members would be comfortable with. Other than that, let go. Pray, if you’re religious. Most importantly, keep yourself productive and occupied so the wait won’t seem so hard. For help creating an adoption profile, visit Adoption.com/profiles.